“Chaos” is how an immigrant advocate describes trying to learn more about roughly 200 people sent to a SeaTac Federal Detention Center by immigration authorities. Still unknown: Exactly how many of those at the prison were separated from their children. 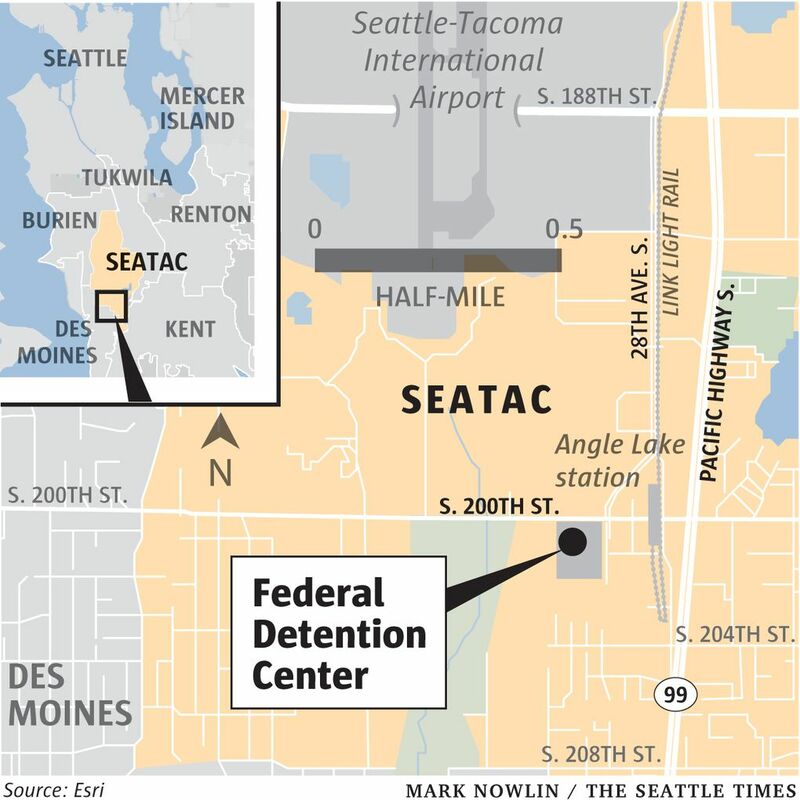 As Democrats in the U.S. Senate push a bill that would stop the federal government from separating families at the border, local advocates are trying to learn more about the roughly 200 people recently sent by immigration authorities to SeaTac’s Federal Detention Center. Still unknown: Exactly how many of those at the prison were separated from their children. “This is, like, chaos,” said Jorge L. Barón, executive director of the Northwest Immigrant Rights Project (NWIRP). His organization has been trying to meet with as many of the 200 detainees as it can. Of the 21 people NWIRP has talked to so far, 12 had their children taken from them, according to Barón. U.S. Rep. Pramila Jayapal, who met with 174 women at the prison over the weekend, asked those who had been separated from their children to raise their hands. On Monday, she said about 30 to 40 percent did so. She did not meet with the men held there, but she said she hopes to do so soon. Children taken from their parents are also beginning to come to Washington. Janet Gwilym, managing attorney of the Seattle office of Kids in Need of Defense (KIND), said her organization has seen eight such children, ranging in age from 12 to 17. They are being housed at facilities in King and Pierce counties for children in the custody of the Office of Refugee Resettlement. Sens. Patty Murray and Maria Cantwell are among several dozen senators who have sponsored the Keep Families Together Act, which would prohibit the government from separating parents and children solely to deter immigrants from crossing the border. “As a mother and grandmother, the idea of having your child taken from you and sent away is an absolute nightmare — and the idea that this administration is using this as a so-called ‘deterrent strategy’ is horrifying and unacceptable,” Murray said in a statement. In the House, more than 100 representatives, including Jayapal, have asked a subcommittee to cut off funding used to separate families. But the administration has shown no signs of backing down from its “zero-tolerance” strategy, which involves criminally prosecuting those who cross the border illegally. Federal officials have said that separating parents from children is a byproduct of these prosecutions, rather than an aim in itself. Barón questions that. 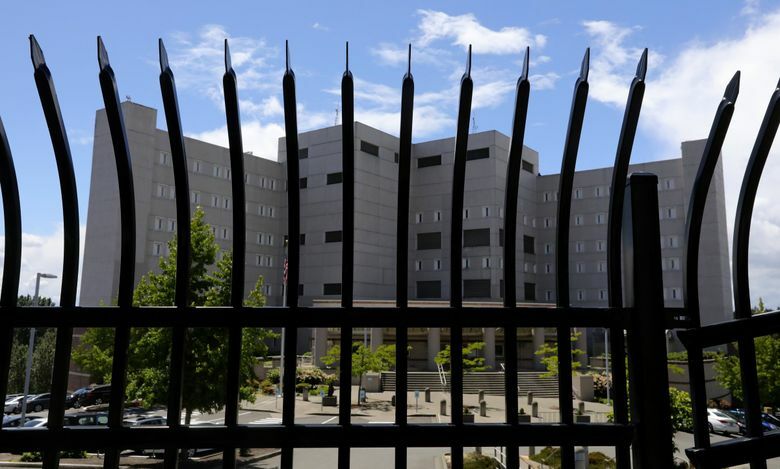 He said some of the people his staff have encountered in SeaTac have had their criminal cases closed, after pleading guilty and being sentenced to time served. And yet still, they have not been reunited with their children. The status of their cases is somewhat confusing, he said. Most are seeking asylum — a process that often entails an interview with an immigration official to establish if they have “credible fear” of persecution in their home countries. Those interviews are supposed to be done soon after being detained. Yet some who have been held for a month have not had a credible-fear interview, Barón said. U.S. Immigration and Customs Enforcement said U.S. Citizenship and Immigration Services (USCIS) handles credible-fear interviews. Sharon Rummery, a USCIS spokeswoman, said she had no information about the matter. Like others seeking asylum, many of those in SeaTac will likely be impacted by a ruling released Monday by U.S. Attorney General Jeff Sessions. Weighing in personally on an immigration appeals case, he said that victims of domestic abuse and gang violence will not be eligible for asylum. His decision overturned an earlier decision by the Board of Immigration Appeals, which ruled in favor of a domestic-abuse victim from El Salvador. Asylum is supposed to be reserved for people who are persecuted because they are members of a particular social group, Sessions wrote. As their cases wind through the immigration system, many parents and children alike are focusing first on finding those they have lost. Jayapal said the mothers she met were distraught. “None had talked to their children,” she said. Children are also worried about their parents, said KIND’s Gwilym. Some of the youth know more Spanish than their parents, who speak mainly indigenous languages. So the kids fear that their parents may not be able to communicate.